With food like peanut butter and jelly hotdogs and cheese tea, are you really surprised that there's Sour Patch Kids cereal? Okay, yes, it's still quite strange to have candy for breakfast. But, after a few weeks of rumors, Post and Mondelez International have made a morning meal out of the sour-sweet gummies we couldn't put down at the movie theater. 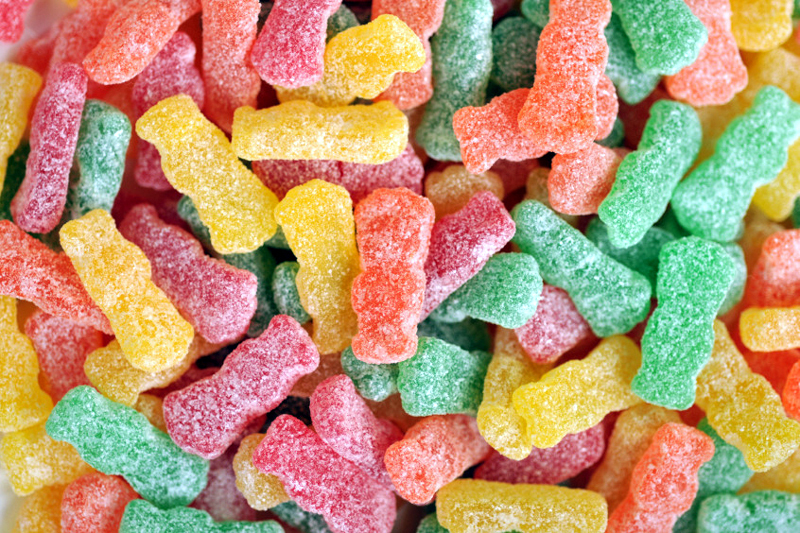 Sour Patch Kids cereal is coming to Walmart stores on December 26, Delish reports. A Walmart spokesperson confirms to Metro that this means all locations will be selling these boxes. The cereal is going for $3.98 per box and will be available at major retailers across the U.S. in June 2019. Post says that "the 'kid' shaped pieces have a sour coating and a sweet finish that every Sour Patch Kids fan will recognize." Sounds fun (also peculiar). When asked if Sour Patch Kids cereal might make it into her morning routine, a New York resident harshly declined. A Philly Metro staffer says she'd try it, but only if a friend did first. "It's a funky idea, but maybe it'll catch on. People probably thought pineapple on pizza was crazy at first, too." This isn't the first time Post partnered with Mondelez for a candy-inspired cereal. In January 2018, they teamed up to launch Nutter Butter and Chips Ahoy! cereals. And, last year, they launched Honey Maid S'mores and brought back Oreo O's. Candy for breakfast: How does this Sour Patch Kids cereal taste? Per the Walmart spokesperson, the taste is subjective. Unfortunately (or, fortunately?) we couldn't get our hands on a box. But Thrillist did. Per, the site, "There's the crunch from a corn/wheat-based sugary breakfast cereal... but something was different! Holy moly, they nailed the sour flavors. And not in a bad way, because it's also still very much a sugary cereal." According to Thrillist, the pieces, though, multicolored, all taste the same. But the lip-puckering flavor is still a "clear innovation." Plus, the milk doesn't turn sour. That's magic.